The Red-winged Fairywren is a passerine bird species that belongs to the Maluridae family. 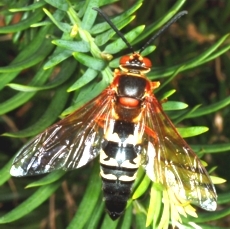 It is endemic to the south-west corner of Western Australia. This bird was first described scientifically by John Gould in 1837. This bird is one of the largest fairywrens. It is 15 cm long and weighs about 8 to 11 grams. The average tail length of this bird is about 7.5 centimetres which is one of the longest tail measurements in its genus. Their bill is long, with bills around 9.3 – 10 mm long. They are also narrow, pointed, and wider at the base. 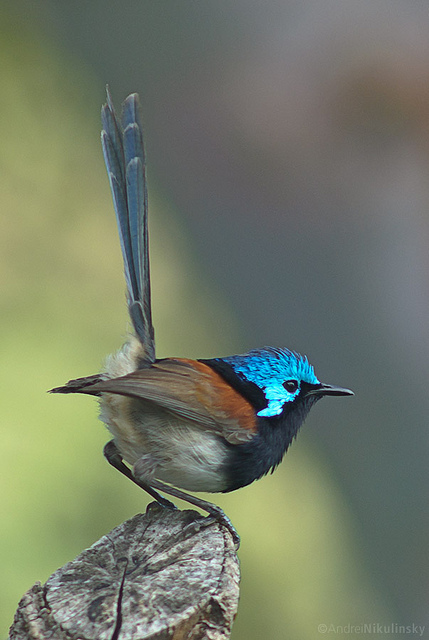 Red-winged Fairywrens have marked sexual dimorphism. Males have a visible breeding plumage of iridescent blue, chestnut, black, and grey-brown. During breeding, male adult plumage is a silvery blue with red-brown shoulders and a black throat and nape. Females, juveniles, and non-breeding males are grey-brown in colour. All males have a black bill and eye-ring, while females have a black bill and a pale grey eye-ring. During autumn, they will moult. Its preferred habitat is the wetter corner of Western Australia. This ranges from Moore River which is north of Perth, as far south-west as Albany. It prefers the understorey of Jarrah and Karri trees. 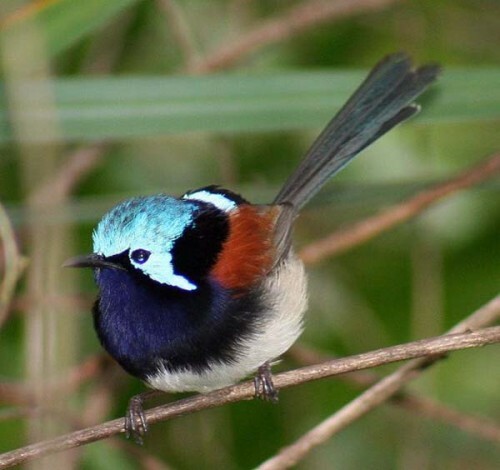 Interestingly enough, older forests are not favoured by the Red-winged Fairywren. Instead, it is actually attracted to disturbed areas after logging. They are an active feeder. They forage in low shrubs and bracken, as well as leaf-litter. At times, it will ascent trees especially in the autumn and late summer as the flaking bark of eucalyptus trees are a great source of anthropods. It eats a number of small creatures such as ants, beetles, bugs, spiders, and caterpillars.